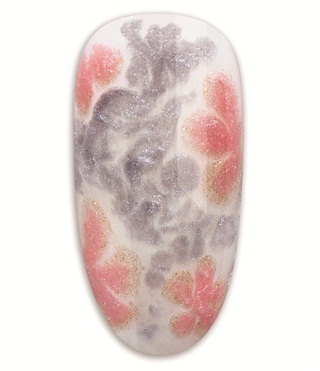 Retreat to peaceful harmony of nature with the new spring 2015 Flora & Fauna collection from CND. Colors and styles are inspired by watercolor impressions and luminous landscapes. 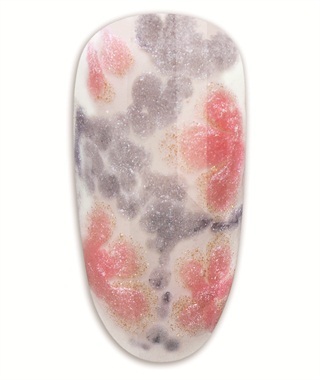 Incorporate CND Additives to add shimmer and dimension to your favorite spring nail trends. Follow these steps to learn how to create a design that is wearable and simple as a barefoot stroll through the grass. 1. 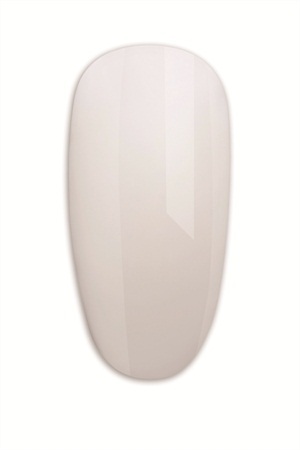 Apply a thin layer of Brisa Paint Pure White over a Brisa Gel enhancement. Do not cure. 2. Mix two parts Brisa Gloss and one part Additives Pink Gold Sparkle. Use a stylus to apply in a flower pattern onto the uncured Brisa Paint. Pull the dots to the center to create a flower. Do not cure. Mix three parts Brisa Gloss and one part Additives Nectar Glaze. Place inside the previous petals and pull to the center of the flower. 3. Mix three parts Brisa Gloss and one part Additives Silver Ponyfoot to accent. Cure for two minutes in the CND UV lamp. 4. 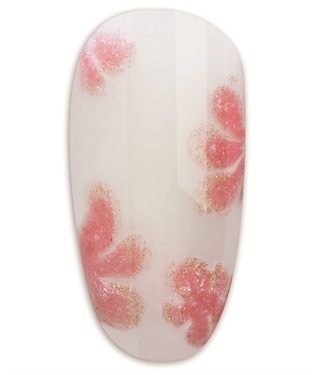 Apply a thin layer of Brisa Gloss to the entire nail. Cure for two minutes and clean the nail with 99% IPA.